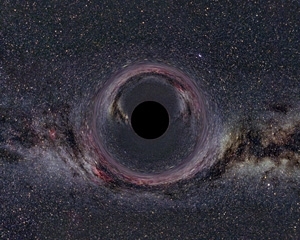 According to two British astronomers, Alejo Martinez-Sansigre from the University of Portsmouth and Steve Roulins from Oxford now supermassive black holes, which is located in the centers of most galaxies of the universe, rotate much faster than ever in the history of the universe.In their study, they based from the assumption that the twin jets of matter indicate that the black hole rotates. Martinez Sansigre and Roulins conducted computer simulations of how the power of these jets depends on the speed of rotation of a supermassive black hole, and then compared the results of this simulation with the real observations of X-ray, optical and radiobands. They also compared the speed of black holes at different times of life universe. So they found that in ancient times, when the universe was half the size, black holes, if rotated, it is much slower than now.According to the calculations speed of black holes’ rotation don’t increase. Black hole starts to spin faster when it merge with another black hole, which is about the same mass.